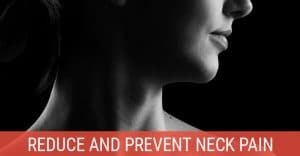 If you’ve read our Guide to Inversion Therapy, you probably have a good understanding of how an inversion table (or chair) can help treat your back or neck pain. 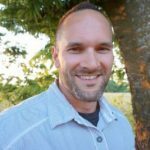 Because of their increase in popularity as an effective at-home treatment option, sifting through dozens of inversion table reviews can actually cause a different type of pain. 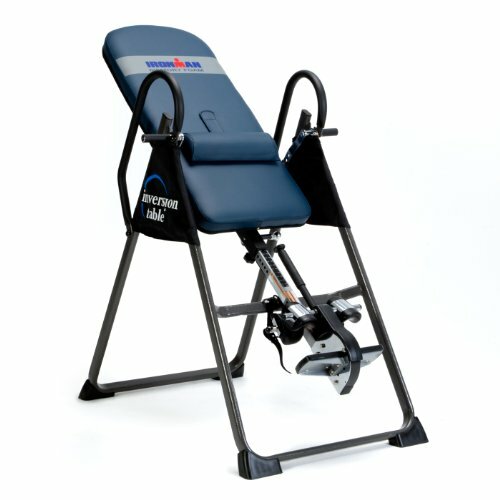 What if you just want to know what’s the best inversion table out there, especially if you’re on a limited budget? 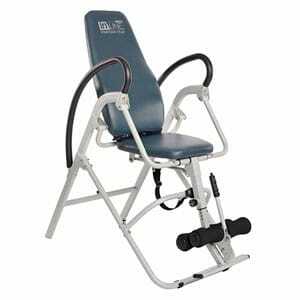 What qualifies an inversion table as being the best? Is it the one with the highest comfort level? The one with all the bells and whistles? The most expensive? The one that gets high marks from Consumer Reports? Finding the perfect balance between cost, functionality, and comfort is usually the case. The following 4 inversion devices (3 tables & 1 chair) give you the maximum value for your money without forgetting some bells and whistles of their own. The Gravity 4000 has an unusual boast: It can bear a maximum weight of 350 pounds, much higher than most of the competition, making it the perfect inversion table for larger people. To achieve this, the frame has been made using a combination of tubular steel and PVC, has durable rubber on-skid floor stabilizers, and a hefty weight of 75 pounds to keep it firmly on the ground. The memory foam nylon backrest is complimented by ergonomically molded ankle cushions to provide both comfort and reduced strain when fully inverted. The heavy duty ankle/foot holders use a simple ratcheting system and I believe are the best out there, even better that the Teeter model below. The attached extension bar allows you to easily lock (or unlock) your feet into place without having to reach down low. During use, the Gravity 4000 is capable of full 180 degree inversion, and (kind of) folds for storage when not in use, just not as compactly as other models. A single heavy duty pin allows you to adjust the foot rest so as long as your height is within the stated 4’9″ to 6’6″ range, you’re good to go. The safety handles are positioned just right and the included lumbar pillow can easily be detached since some prefer not using it. 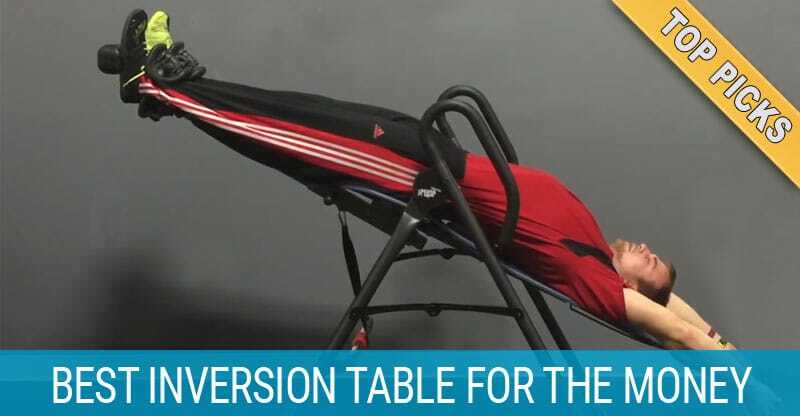 While it doesn’t have a ton of features, you get high quality at an affordable price making it arguably the best inversion table for the money. One cannot read reviews of this table without finding numerous comparisons to Teeter. The Teeter vs. Ironman debate has been going on for a while. Many users have used (or owned) both brands, and are quick to mention the vast difference in cost for a comparable product. 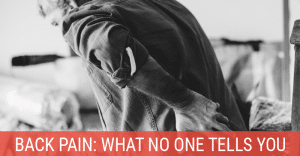 Some even say the Ironman is one of the best products to relieve back pain that they’ve used. Owners of this table have also frequently complimented Ironman’s customer support and hassle-free replacement policy, which they compare to the 5-year warranty offered by Teeter. While the Gravity 4000 is heavier than most competitors, it just feels more secure and seems like it would easily outlast other brands making it a great choice for long term use. There have been only a few complaints about the Gravity 4000. One of the most common is that it doesn’t fold up as compact as some other models. So while you can fold it and lean it against a wall or in a closet, you won’t be able to slide it under a bed. If the size or weight of it is an issue for you, you may want to consider the Teeter model. In addition, the packaging is not as sturdy as it could be for shipping, and rough treatment in transit has resulted in some parts being at risk of damage upon arrival. Don’t let its odd appearance fool you. 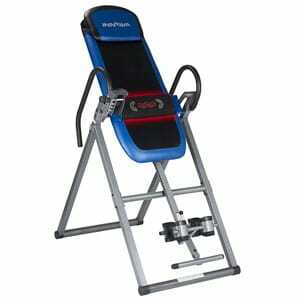 Teeter’s entire line of inversion tables has a lot of bang for your buck, and the EP-960 Ltd is chock full of features. Starting with extra long Stretch Max Handles, the EP-960 Ltd also includes traction handles and grip-and-stretch handholds to allow for more stretching options. The ankle hold may be adjusted for different foot sizes, and the triple-locking EZ-Reach Ankle System features an extended handle to reduce the need for bending while securing your feet. Like most other Teeter models, the EP-960 will adjust for users who are within a 4’8″ to 6’6″ range and up to 300 pounds. Better than most but the Ironman model above goes up to 350 pounds. The smooth, contoured back allows your body to slide easily while flexing for improved comfort, while also providing a lumbar bridge and neck arch to aid in decompression. The colorful bumps are adjustable four-position acupressure nodes to provide added pressure point relief. They may sound like a gimmick but actually work pretty well but they’re easy to remove if you find them uncomfortable. You can also use the EZ-Angle tether to tilt at 20, 40, and 60 degree presets. Finally, the EP-960 Ltd has been FDA-cleared for a number of back issues, including: sciatica, degenerative disc disease, facet syndrome, and spinal stenosis. Consumers who have purchased this table have often done a lot of research to find the ideal inversion machine before investing in the EP-960 Ltd. They have reported that the table works quickly on their back pain and have expressed an almost unanimous satisfaction with their investment. The addition of longer handles has been another point of praise, allowing consumers to achieve greater angles of inversion with minimal effort. The biggest concern of consumers over the EP-960 Ltd is the back. Unlike the frame, the back is made of a flexible material that isn’t as durable as the backs of other inversion tables. In some rare cases, users have begun to notice stress marks within months of purchasing the table. While the material makes the table lighter and easier to store, it may not be as durable as other solid back models. Another complaint with the Teeter is in its balance. A tall person will find it more comfortable than a short person, and heavier users will often experience difficulty due to their individual center of gravity. While tables are normally adjustable enough to counteract these balancing issues, customers have found the Teeter models to be slightly less adjustable. 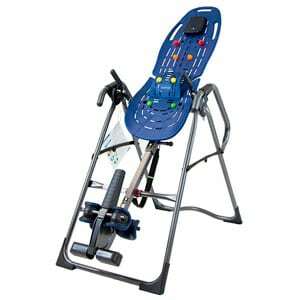 That said, Teeter makes excellent inversion tables, many of which you’ll find at a physical therapist’s offices. When looking for a cheap inversion table that has extra features, the ITM4800 quickly becomes a focal point. This table features a safety pin system instead of the traditional straps and support for people of most heights (4’10” to 6’6″) and up to 300 pounds in weight. The backrest is made of energy foam and includes a removable head pillow, adjustable lumbar pad, and is complimented by Soft Touch foam handles. What really sets this model apart from tables twice as expensive is the combination of isolated heat and vibration. There are multiple mode settings for the massage, with both manual and automatic options. While not suitable for use with some medical conditions, these added features can provide a more therapeutic experience for many users. Users are generally very happy with the value of the ITM4800, commenting on its sturdy construction, easy-to-follow instructions and packaging, and hassle-free usage. They have also provided a lot of positive feedback regarding the removable support and massage feature. More importantly, owners of this table have reported great success in using it over both short and long periods of time. There are two major complaints with the ITM4800. Some users have found the ankle and leg rests to be uncomfortable, although others have been satisfied with the comfort level. The other problem is due in part to shipping. Consumers have been known to receive broken plastic parts or chipped paint on the metal parts. 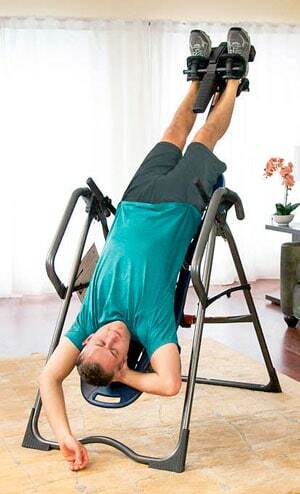 Not everyone can use an inversion table due to the nature of their back problems. Thus this list would not be complete without including the best inversion chair for the price. Made for those weighing up to 250 pounds and between 4′ and 6’2″, the InLine chair is easy to get in and out of, with a lap belt and leg lock system to provide extra security. The ankle supports and handlebars are padded and the chair itself is upholstered for added comfort. Consumers have generally chosen the InLine for the extra comfort that sitting can provide for some serious back injuries. 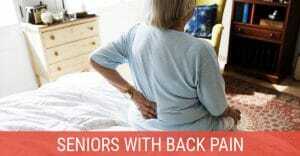 They have also noted that the chair is very sturdy and provides effective relief for their individual issues. There are two main complaints with the chair. One has to do with the assembly, which is time-consuming and involves a massive number of screws to be placed. The other is the fact that the inversion chair doesn’t fold up for storage can be an issue for some but still takes up less space than an inversion table would.